Advance directives are legal documents, valid throughout the United States, that allow you to make your wishes know when you are unable to voice them yourself. Advance directives are legal documents, valid throughout the United States, that allow you to make your wishes know when you are unable to voice them yourself. You do not need a lawyer to fill out an advance directive, but your advance directive becomes legally valid as soon as you sign them in front of the required witnesses. There are three main types of advance directives, a living will, a do not resuscitate order and a medical power of attorney. Takes effect when a person is unable to make decisions regarding health care. Applies only to questions of treatment related to a terminal condition. A do-not-resuscitate order, or DNR order, is a medical order written by a doctor. It instructs health care providers not to do cardiopulmonary resuscitation (CPR) if a patient’s breathing stops or if the patient’s heart stops beating. A DNR order allows you to choose whether or not you want CPR before an emergency occurs. It is specific about CPR. It does not provide instructions for other treatments, such as pain medicine, other medicines, or nutrition. The doctor writes the order only after talking about it with the patient (if possible), the proxy, or the patient’s family. A DNR order allows a person to die a natural death. Optimal comfort care is continued with hospice services. It does not mean do not treat. A DNR order is not required to begin care. If you do not want resuscitation started, ask your doctor to write a DNR order to keep in your home. Hospice can help obtain a DNR order from your primary physician to keep in your home. Allows you to designate another person to make medical decisions for you. This person makes medical decisions on your behalf only when you are unable to do so. You can specify your wishes regarding medical care in writing. The DPOA-HC does not cover legal and/or financial matters. 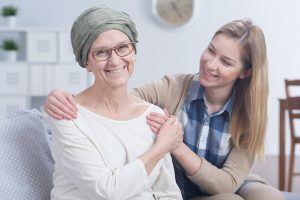 The laws governing advance directives vary from state to state, so it is important to complete and sign advance directives that comply with your state’s law. Also, advance directives can have different titles in different states. Forms are available upon request. Give a copy of completed advance directives to your Heart & Soul Hospice care team, as well as your doctor.